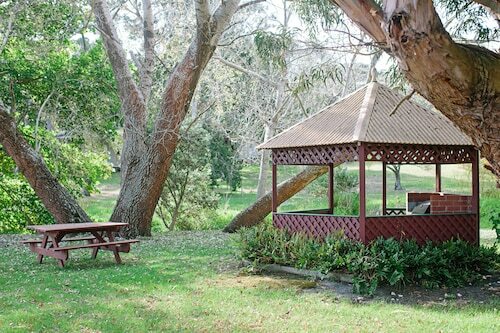 Situated near the beach, this campground is within 1 mi (2 km) of Emu Beach and Middleton Beach. Emu Point Beach is 0.6 mi (1 km) away. Situated in Emu Point, this golf apartment building is within 1 mi (2 km) of Emu Beach and Middleton Beach. Emu Point Beach is 0.7 mi (1.1 km) away. Nestled on the beach, this Emu Point campground is within a 15-minute walk of Emu Point Beach and Middleton Beach. Emu Beach is 0.3 mi (0.4 km) away. If you're thinking about checking out Emu Point, there are a fair few available hotels. 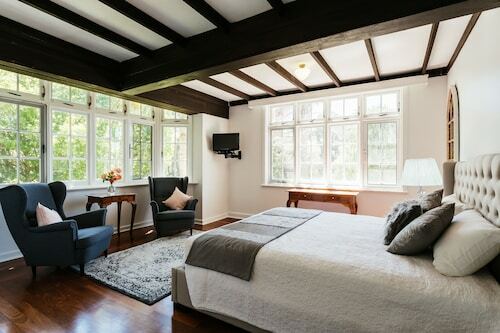 Choose from any of the 14 found within 5 kilometres of the town centre. The Beach House at Bayside and HideAway Haven are a few of several great accommodation options that are near all the main areas. Nothing compares to the serenity of watching waves lapping at the shore. 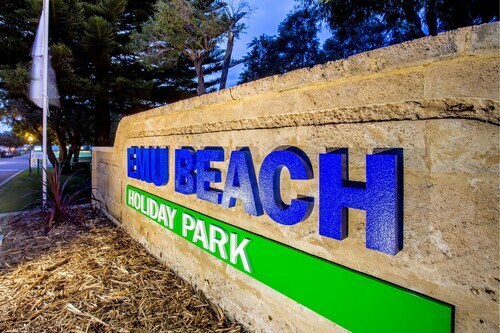 Make sure you visit Emu Beach. Emu Beach Chalets and BIG4 Emu Beach Holiday Park are handy places to stay if you're eager to be close this attraction. The sweet sound of birdlife tweeting will be music to the ears of hikers who stroll around West Cape Howe National Park. Rest your head at Havana Villas and Emu Point Motel & Apartments and you can visit this hotspot whenever you like. 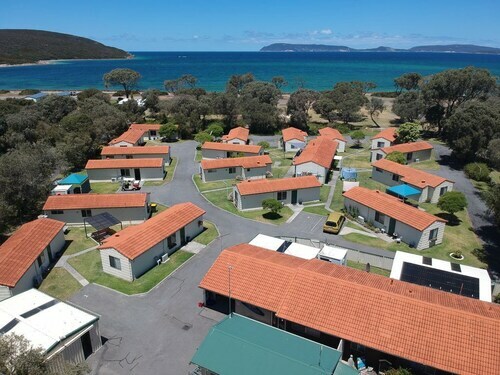 The Acclaim Rose Gardens Beachside Holiday Park is one of the small selection of truly budget hotel options in Emu Point. For some alternatives, checkout the My Place Colonial Accommodation and the Best Western Albany Motel & Apartments. They are 6 kilometres and 6 kilometres respectively from the main center. 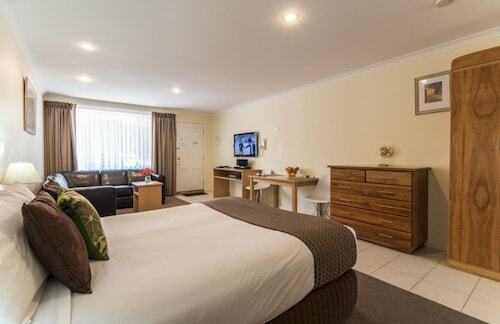 Others are the Dog Rock Motel, 6 kilometres away, and the Quality Suites Banksia Gardens WA, 6 kilometres. If you want to experience some nearby localities, think about Dingo Beach and Lowlands. Journey 30 kilometres to the west from Emu Point and you'll find Dingo Beach. Alternatively, Lowlands is 40 kilometres to the west. Dingo Beach hotels include the Best Western Torbay Sea View Holiday Apartments and Cosy Corner Beach Cottages. The Tennessee Hill Chalets and Cape Howe Cottages are some of the better ones in Lowlands. At Wotif, we live, breathe and sleep travel! 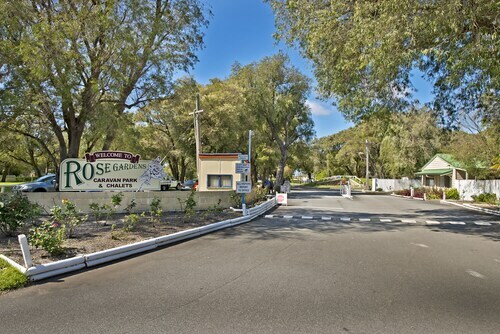 So when you're ready to hit the bright lights of Emu Point, we'd love to get you there. How Much is a Hotel Room in Emu Point? Hotels in Emu Point start at AU$90 per night. Prices and availability subject to change. Additional terms may apply.